Through Alpha, many Catholics and other Christians have experienced a deepening of their relationship with God and one another and their personal relationship with Jesus Christ. 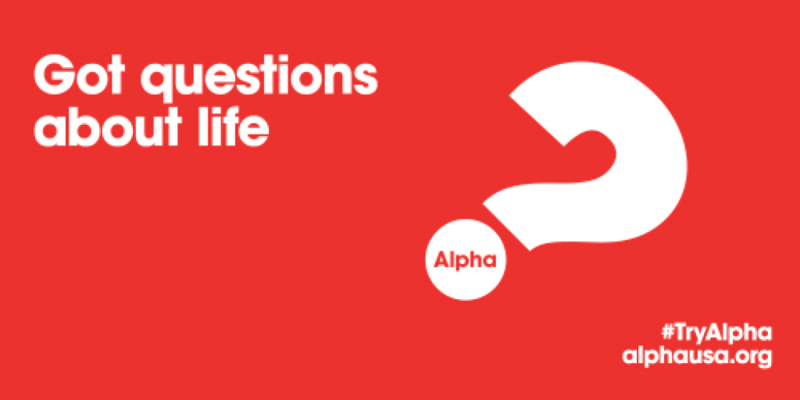 The Alpha program describes itself as “designed for people who wouldn’t call themselves Christians or who are not regular church-goers.” But Alpha is not just for those who are new or coming back to the faith. Many active, practicing Catholics and other Christians have found Alpha to be highly beneficial for their own faith lives– kind of a “back-to-the-basics” renewal of their own faith. Although Alpha originated as a Protestant program, it has been developed and evolved over time through a collaborative effort including Catholics and Protestants. Want to promote our faith to family or friends? Invite them to do Alpha with you! By inviting others to do Alpha with you, you will be helping our parish to grow as a Christ-centered, welcoming community of faith. Want to be a better promoter of the faith yourself? Come do Alpha! In addition to renewing their own faith, many Catholics and other Christians have found Alpha to be very helpful in learning how to be better evangelizers and promoters of the faith themselves, learning the most effective language and methods to promote the faith and share the Good News of Jesus Christ – with adult children and other family members who are no longer practicing the faith, with friends, with neighbors, etc. These are the very people whom Pope St. John Paul II described as needing our care and attention in the “New Evangelization.” In his 1990 encyclical, Redemptoris Missio (33), St. John Paul II wrote of the situation “where entire groups of the baptized have lost a living sense of the faith, or even no longer consider themselves members of the Church, and live a life far removed from Christ and his Gospel.” He stated that “in this case what is needed is a ‘new evangelization’ or a ‘re-evangelization’” Both Popes Benedict XVI and Francis have reaffirmed this call for a New Evangelization. Alpha has emerged as an effective tool in this New Evangelization. For more information or assistance, email: alphaolglahabra@gmail.com (or call the Parish Office).